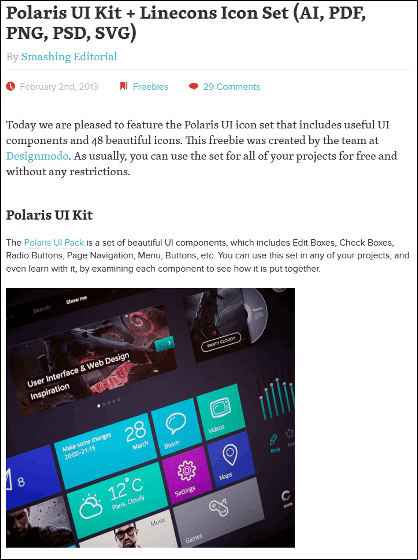 A checkbox, a Windows 8-like menu icon, various sophisticated UI kits such as buttons are "Polaris UI Kit"is. 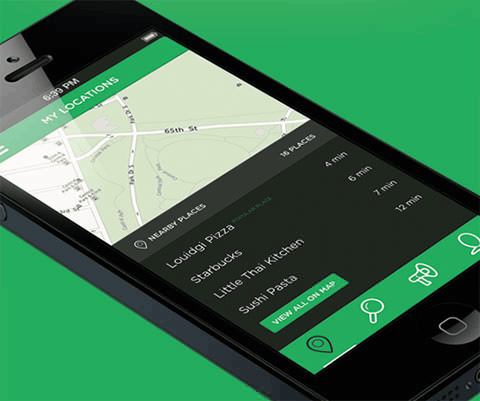 It can be downloaded for free and can be used for commercial purposes. In addition, 48 kinds of icon sets can be downloaded simultaneously with the UI kit. 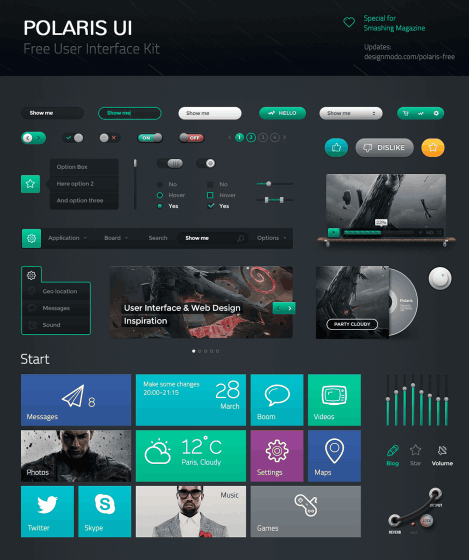 The UI kit looks like this. An example of the contents is here. First of all, it is a movie screen as if you put it on the shelf. 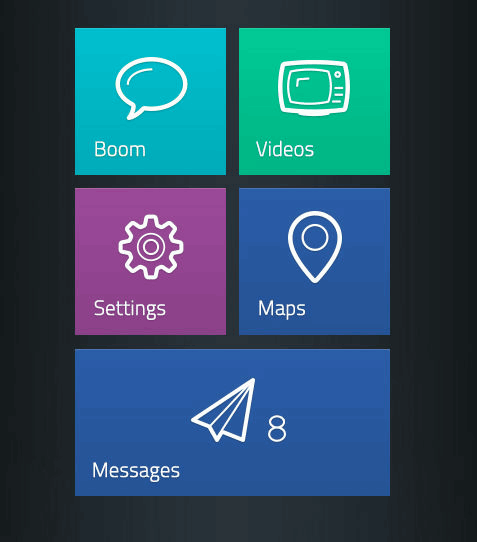 There is also an icon with a design like Windows 8. In addition to the "Like" button there is also a "not good!" Button. Downloading is possible from the following site. 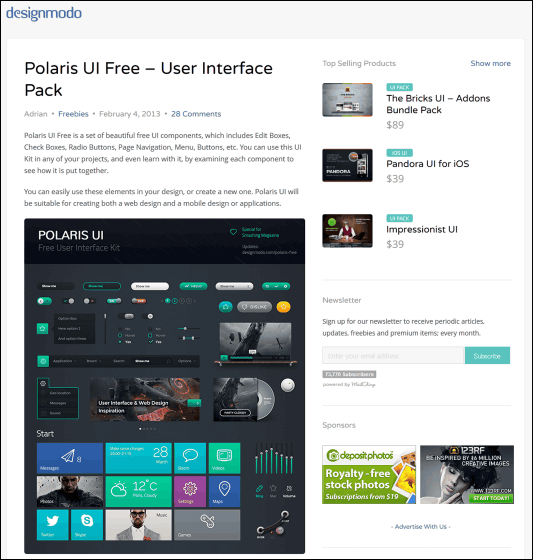 Click "Download the UI kit" at the bottom of the page to start the download. 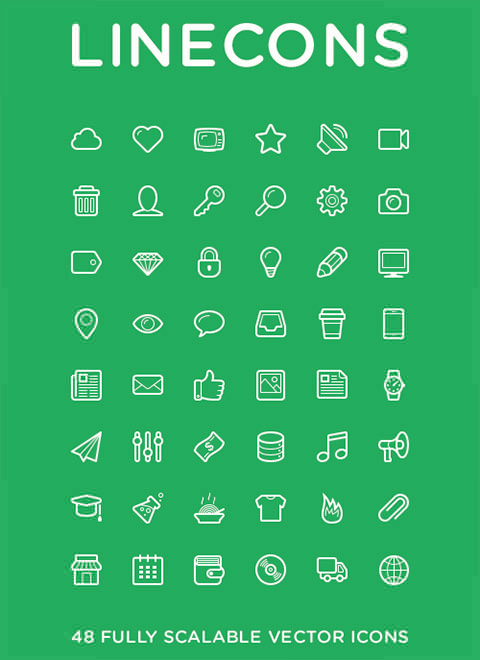 In addition to the UI kit, 48 kinds of simple icon sets can be downloaded. The icon is a very simple design. In addition to AI, PDF, PNG, PSD, SVG, TTF format, the file can be used as web font. Samples using icons look like this. 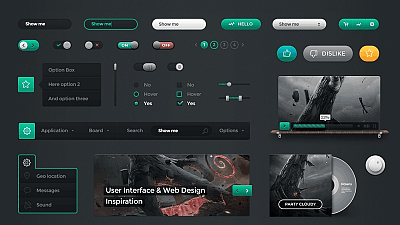 It is convenient when making websites, applications, etc. because it is unified with a chic design excluding the feeling of gossiping overall. Vector Icons for Commercial Use Free of charge 264 kinds of sets "IKONS"
Flat-designed vector format icon set free for commercial use "File Type Icons"
More than 400 vectors available for free + PNG format icon packing pack "Seven Icon Pack"
Japanese-style disk icons 20 types "Waritsuki Drive Icons"